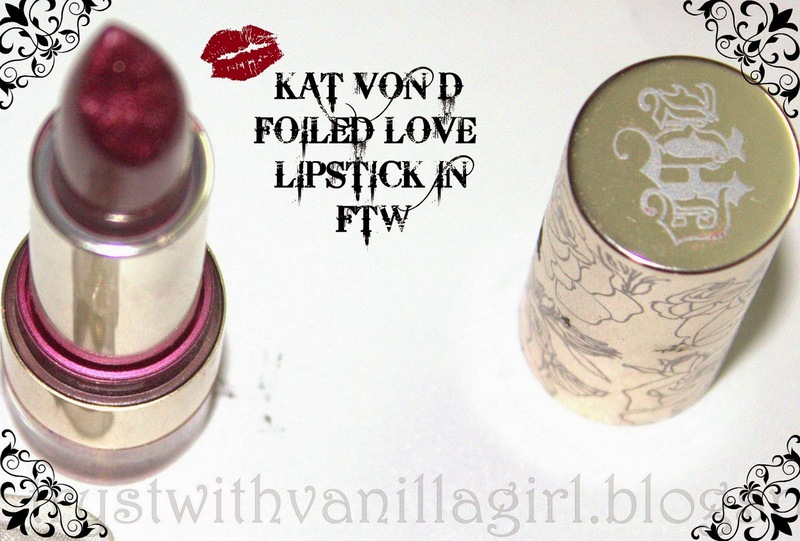 KAT VON D FOILED LOVE LIPSTICK in F.T.W. What the Acronym FTW stands for I don't know but Palindrome of FTW makes much sense. Exactly this is what my mind said when I read the description of these lipsticks on Sephora. 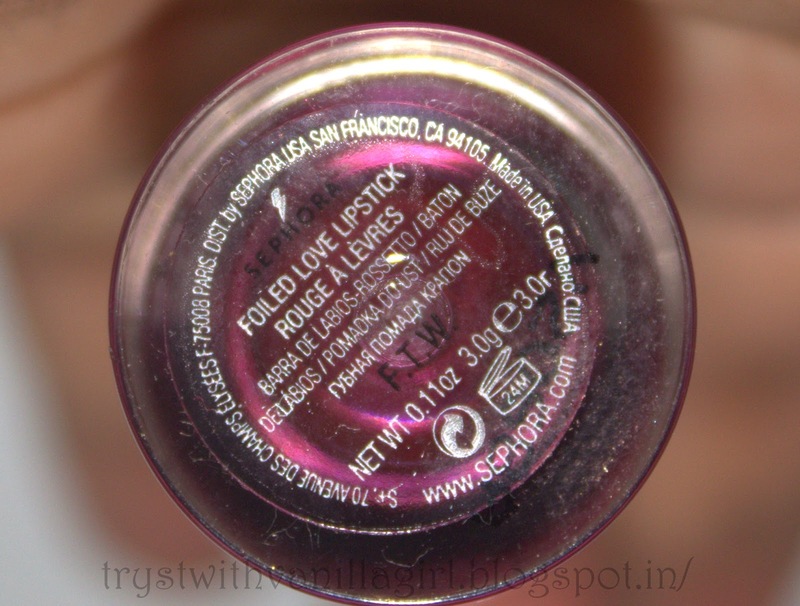 It will gift wrap your lips with Metallic and highly pigmented foil with hint of shimmer. 1. 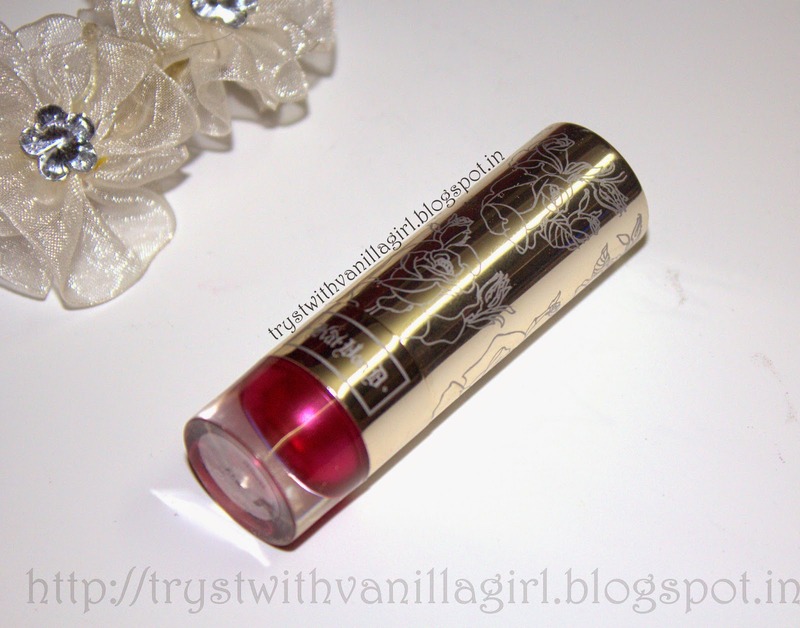 Packaging; Its the silver tube packaging where the base reveals the colour of the lipstick.The cover of the tube is so beautifully ordained that it actually reflects to come from the beauty line of a tattoo artist. 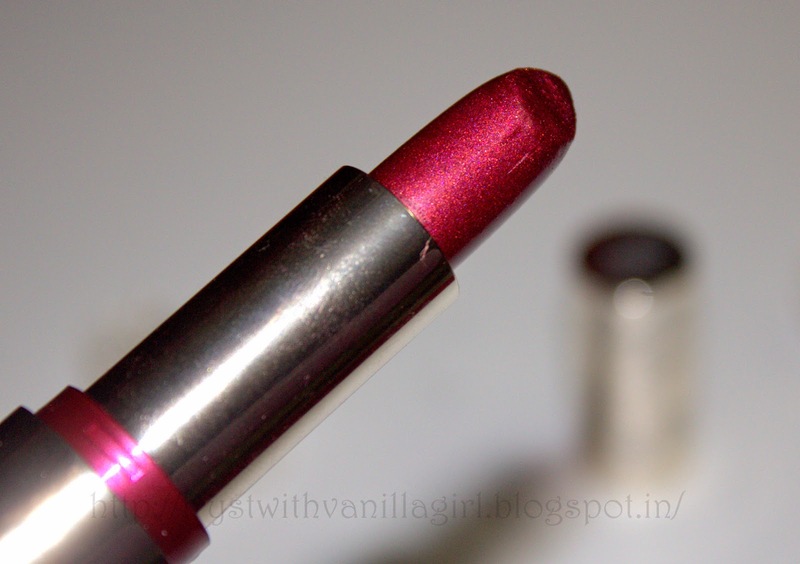 2.Colour; Very pretty plum colour with metallic sheen and a hint of shimmer.Metallic sheen is beautiful and not Overpowering. 3.Texture: is just right.Neither too smooth nor too dry.Its one domain where I was not impressed. 4.Longevity: Passed my "Four hour and Meal test" with average marks .Though the colour lingered on beautifully but shimmer disappeared.The colours although tends to stay on without settling in fine lip lines. 5.Fragrance: It has no fragrance or not something I can relate to.Its not delicious as such. 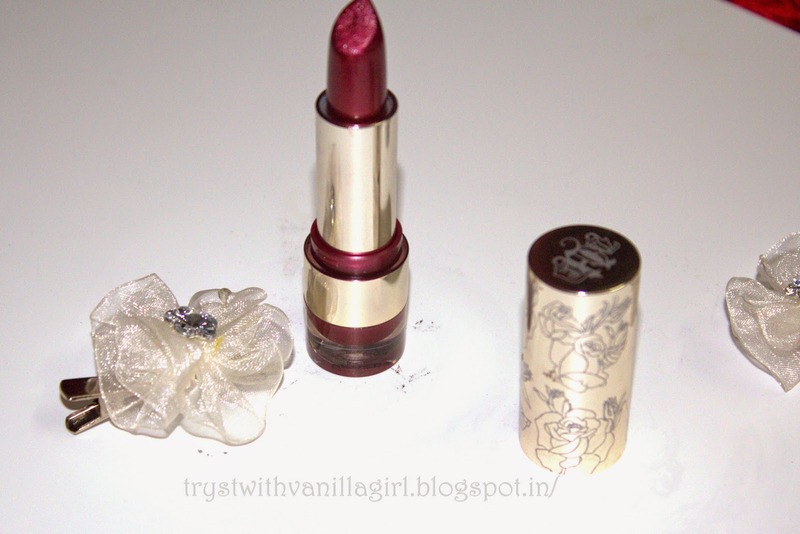 Which is your favorite plum Lipstick? 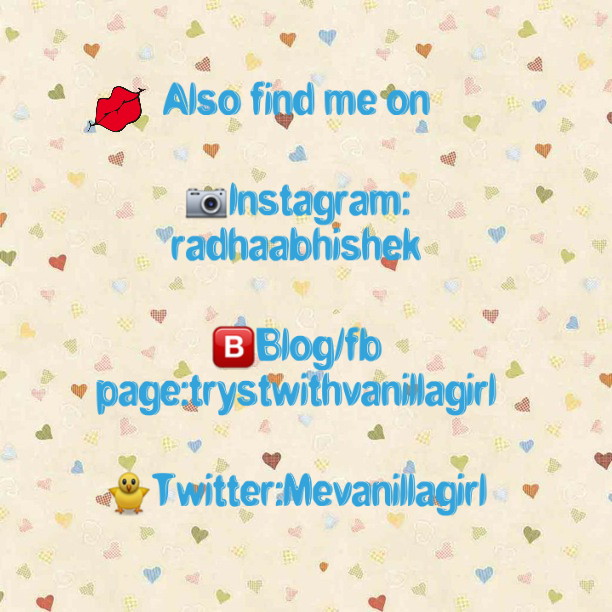 Please add your comments in the comment box below.It gives me immense pleasure to know you people who read my blog. creative,beauty driven relationship.Looking forward to this association my lovely friends! !